Establishing a biblical worldview in all courses is of utmost importance in Adventist institutions of higher education, especially when everyone has access to the wealth of information found on the Internet today. For example, many top-tier universities offer Massive Open Online Courses (MOOCS) for free,4 allowing individuals to earn certificates of mastery and completion that can be used to document personal and professional growth. Courses taken at Adventist colleges and universities, whether online or in a physical classroom, need to be different from what students can find online. Courses should be designed to provide students with a uniquely Adventist perspective, structured on a biblical foundation. Joshua gave the Israelites a clear choice similar to the choice professors are given: “Choose you this day whom ye will serve; whether the gods which your fathers served that were on the other side of the flood” (i.e., a traditional approach, teaching the way we were taught), “or the gods of the Amorites, in whose land ye dwell:” (i.e., a contemporary approach, teaching the way things are taught in other institutions) “but as for me and my house” (classroom), “we will serve the Lord”5 (i.e., follow the divine plan for education built on the foundation of Scripture, committed to service, with a view of eternity). An extensive search of the literature provided no course design model with a biblical foundation and an Adventist perspective for use within Adventist institutions of higher education. Therefore, the authors chose to develop a model, based on respected research-based techniques, beginning with a clearly identified biblical concept as its foundation. The next section describes seven steps for designing a course using the Biblical Foundation Course Design Model created by the authors. Step 1: Create a Course Concept Map. The professor should begin the process by “beginning with the end in mind”7 through specific reflection on the following questions: “What is the essential overarching concept of my course?” “How is this concept a truth about God?” and “What Biblical Examples (BEs) of this concept can be shared meaningfully throughout this course?” The answers to these questions are used to begin the development of the Biblical Foundation Course Concept Map (BFCCM), a visual representation of the course’s biblical foundation and its connection to course content. The map streamlines the professor’s thinking and outlines the biblical course concept and its connection to BEs, the academic knowledge and processes of the course, along with assessments that will be used to measure the student’s grasp of the content. Because the BFCCM is a visual representation of all essential elements of the course design, it becomes an important part of the course syllabus. To start creating the Biblical Foundation Course Concept Map, the professor identifies two to three biblical concepts that could represent the essence of the course. See Table 1 for a partial list of biblical concepts that were collected by professors. Next, the professor should spend time in Bible study, prayer, and reflection on the identified biblical concepts, asking God to help determine which one biblical concept will best represent the truth of God within the content knowledge of his or her course. The professor continues the process by writing the defining sentence using the selected biblical course concept word and describing its connection to the course’s academic content in one sentence. For example, Linda Crumley, professor of COMM 397: Communication Research at Southern Adventist University in Collegedale, Tennessee,8 identified “Discovery” as the biblical course concept because she identified the biblical basis for her course as follows: “God reveals many things to us.” Dr. Crumley then wrote her defining sentence: “Through Discovery we seek to discover what God wants to reveal,” from Deuteronomy 29:29. She placed the biblical course concept and the defining sentence in a green diamond shape in the center of the Biblical Foundation Course Concept Map. 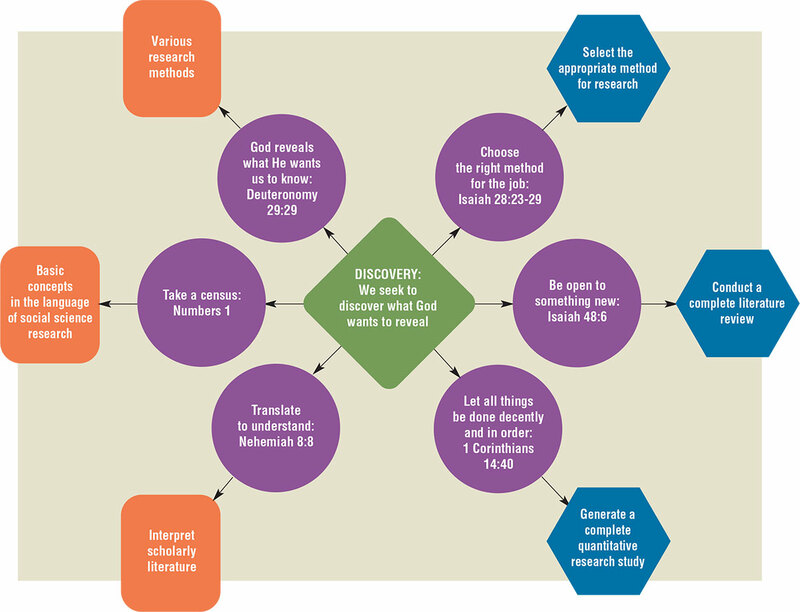 Figure 1 shows the beginning of the Course Concept Map for COMM 397: Communication Research. Next, the professor identifies Biblical Examples (BEs), which include biblical teachings and specific Bible stories, with the reference texts, that relate to the biblical course concept and defining sentence. Deuteronomy 29:29—God reveals what He wants us to know. Isaiah 28:23-29—Choose the right method for the job. Isaiah 48:6—Be open to something new. 1 Corinthians 14:40—Let all things be done decently and in order. Numbers 1—Take a census (a procedural format). 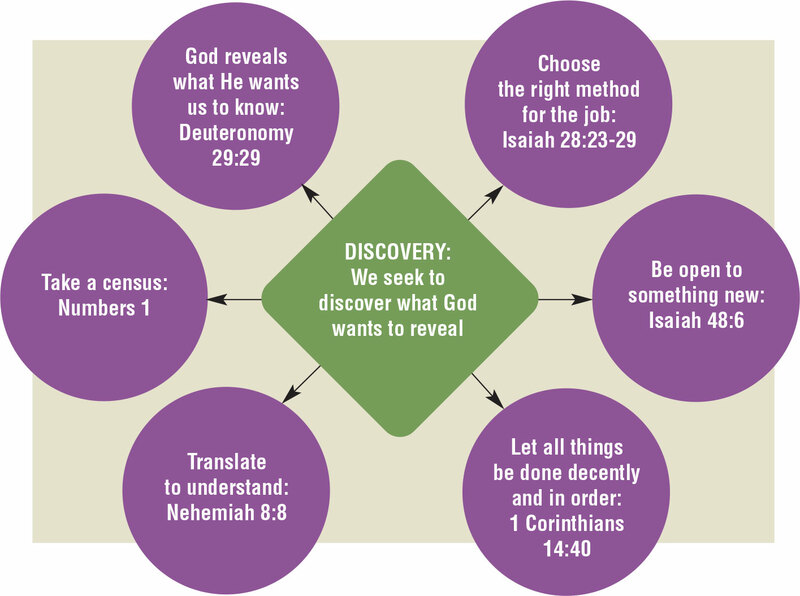 The Biblical Foundation Course Design Model, like Stage 1 of McTighe and Wiggins’ popular Understanding by Design Model,9 emphasizes the identification of the desired end results for the course content knowledge. The professor does this by determining what declarative (DK) and procedural knowledge (PK) students need to know to demonstrate understanding of the course content. These DKs and PKs will answer the question, “Five years after taking this course, what should students know and be able to do?” Some professors will add state of attitudes and values, in addition to the DKs and PKs. Dr. Crumley identified three DK statements and three PK statements for her course. On her Biblical Foundation Course Concept Map, she placed each DK in an orange rectangle and each PK in a blue hexagon and added them to the map. Most professors do not have an identical number of DKs and PKs. However, the professor should limit the total number of combined DKs and PKs to no more than eight well-structured statements to ensure clear alignment to the learning outcomes. The professor now reviews the BEs already identified and determines which one(s) connect best with each DK or PK. The BEs are usually placed on the Biblical Foundation Course Concept Map close to the DK or PK where they best connect, and an arrow is drawn connecting them. 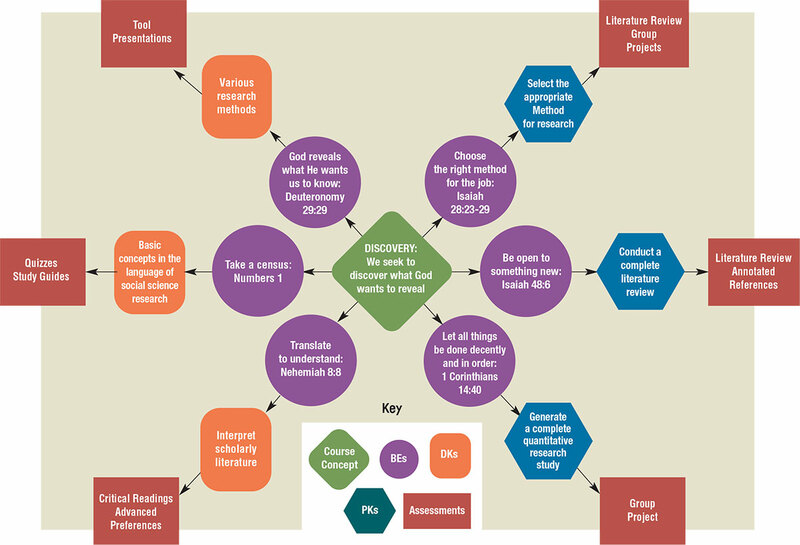 Figure 3 shows the Biblical Foundation Course Concept Map with the DKs and PKs added for COMM 397. Finally, to complete the BFCCM, the professor determines what kinds of assessments best measure student understanding of each DK and PK. For millennials, real-world activities or projects should be used whenever possible. The professor places the assessments in red rectangles and connects each to the appropriate DK or PK. The completed Biblical Foundation Course Concept Map for COMM 397 (see next page) shows the biblical course concept and the defining sentence connected to the BEs, the BEs connected to the DKs and PKs, and the DKs and PKs connected to their corresponding assessments. Step 2: Write the Learning Outcomes (LOs). LOs describe in sentence form what students will be able to demonstrate in terms of knowledge and procedures upon finishing the course. The LOs build on the DKs and PKs identified in the Concept Map of Step One and are designed to intentionally show the progression of the learning process to move students toward higher-order thinking as represented by the Revised Bloom’s Taxonomy.10 The LOs will be recorded in the course syllabus so students understand what will be expected of them as they complete the course. The professor should write one Learning Objective for each DK and PK. When writing the LOs, the professor must remember to focus on student learning and state the LOs in clear, measurable, and observable terms. 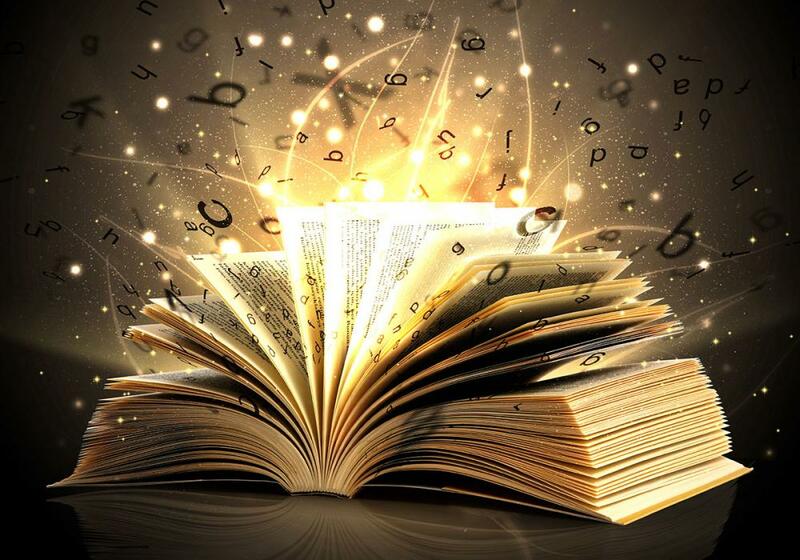 Vague words such as understand, know, and become familiar with are difficult to measure and should be avoided. Instead, instructors should choose action verbs from the Revised Bloom’s Taxonomy, such as perform, identify, describe, explain, and demonstrate.11 Foundational courses, or General Education courses, will use more verbs from the lower levels of the taxonomy—remember, understand, apply—while upper-division and graduate courses will draw more from the higher levels—analyze, evaluate, create. Table 2 shows the LOs for COMM 397. Remember, there is a one-to-one correlation between each outcome and a DK or PK; and each LO should begin with an active verb from the Revised Bloom’s Taxonomy. LOs should be listed after the sentence stem, “Upon successful completion of this course, the student will be able to . . . .” The taxonomy category is listed in parenthesis after the LO. Step 3: Select Active Teaching and Learning Activities. Active Teaching and Learning Activities (T/LAs) feature a wide range of strategies but with the commonality of “involving students in doing things and thinking about the things they are doing,” according to Bonwell and Eison’s research.12 Active T/LAs should be identified and used to engage students—a specific need of millennial students.13 Professors must identify the significant DKs and PKs of the content and develop activities that present opportunities for students to apply the thinking skills used by professionals in the discipline. These active teaching and learning activities replace lecturing for the entire class period; and many research studies indicate they lead to greater academic achievement among all adult learners, including millennials. The major characteristics associated with active learning, as defined by researchers, include the following: increased student motivation, especially for adult learners; reciprocal feedback between student and professor; and student involvement in higher-order thinking (analyzing, evaluating, and creating).The professor should plan to introduce each Learning Objective by incorporating several active teaching and learning techniques in his or her daily plans. Active T/LAs release both the professor and the student from covering every page in a textbook and move the textbook to its rightful place in the course—a resource. These activities also allow professors time to bring in the biblical connections and Adventist beliefs identified in the first step of this Course Design Model. Students need to see the connections between the biblical course concept, BEs, and the DKs and PKs and the class activities and assignments. The professor should provide student feedback within 24 to 48 hours19 to intentionally “close the assessment loop” for most assignments. Ideally, this closure allows students to utilize the professor’s input to improve their learning in subsequent class activities and assignments.20 For major assignments that require more time, professors should state the expected return date in the syllabus and remind the students of this when the assignment is collected. In order for professors to make assessment a valuable learning tool, learners need to know, upfront, what to expect and when to expect it. They also desire options; variety in assessment options that target different learning styles is appreciated by millennial learners because it presents a more accurate representation of the learning taking place. Therefore, a formal AP should be written and placed in the syllabus outlining what types of assessment, including formative and summative, will be part of the course; when will the assessments take place; and how the assessments will be evaluated. The AP should also include rubrics or checklists for all major assignments and the grading scale that will be used in the course. The course’s biblical foundation of faith and learning should be represented by the biblical course concept and defining sentence, which should be naturally connected through the biblical examples (BEs) to a declarative knowledge (DK) and/or procedural knowledge (PK). There should be at least one assignment, active teaching and learning activities (T/LA), and assessment for every learning outcome (LO). Critical LOs need to be revisited often throughout the semester and may need several assignments, active T/LAs, and assessments. Every T/LA should align to a DK or PK; and every DK and PK should align to a LO; and every LO should be assessed. Write a paragraph describing the biblical foundation connection to the course content knowledge. Include the newly designed elements illustrating the course’s biblical foundation, such as the Biblical Foundation Course Concept Map, LOs, and the FP and AP, which includes assignment options and the course calendar. Give hours and contact information for additional help possibilities such as the IT/IS or Learning Management System Help Desk(s), library resources, research and writing center help, and/or tutors and lab assistants, etc. Provide copies of required policies from the institution such as those relating to (1) students with disabilities, and (2) academic honesty (plagiarism). Make sure directions for completing all the assignments listed in the course calendar are described in detail, and rubrics or checklists are provided for major assignments. For additional information on each step, see: http://www. ­southern.edu/administration/cte/Docs/Biblical_Foundations_Course_Design_Steps.pdf. Generational differences will continue throughout time. Therefore, higher education must also change to meet the specific needs of each group enrolled in the institution. In developing the Biblical Foundation Course Design Model, the authors felt convinced that all professors would be able to teach from a uniquely Adventist biblical foundation, as well as meet the distinctive needs of the millennial generation. Under this model, every course taught at a Seventh-day Adventist institution of higher education will differ significantly from similar courses taught at secular or other Christian institutions. Furthermore, when this model is followed, professors will be better prepared to lead students into a deeper understanding of a faith-based biblical worldview and educate students to think biblically rather than humanistically. The final outcome should produce students who are capable of incorporating the Adventist biblical worldview into real-world occupational settings, and who are better able to make a difference for Him through their calling and vocation. Cynthia M. Gettys, Ph.D., is the founding Director of the Center for Teaching Excellence and Biblical Foundations of Faith and Learning at Southern Adventist University in Collegedale, Tennessee. She received her doctorate in Curriculum and Instruction from the University of Tennessee, Knoxville. Dr. Gettys has taught at all levels of education—elementary through the doctoral level—and served as Vice President for Education in the Georgia-Cumberland Conference. 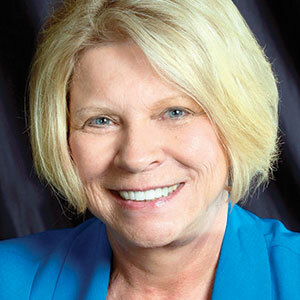 She has made numerous presentations at national and international higher education conferences; and she previously published in ASCD’s Educational Leadership, The Journal of Adventist Education, as well as contributed to numerous articles and books, including a chapter written for Peril and Promise: Adventist Education at the Crossroads. (Riverside, Calif.: Center for K-12 Research on Adventist Education, 2012), She is the editor of and an author for the Journal of Biblical Foundations of Faith and Learning. 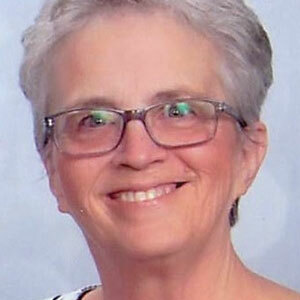 Elaine D. Plemons, M.A., has had 40 years of educational work in the Seventh-day Adventist denomination. As a leader in curriculum design, technology, and faculty development, she has worked as an elementary teacher, conference associate superintendent, university professor, and dean of academic technology and faculty development in addition to serving as the founding coordinator of the AE21 Distributed Education Project for the North American Division and as the chief operating officer of Echelon, a for-profit e-commerce site to provide continuing education for medical professionals, owned by Adventist University of Health Sciences. She has authored several articles for The Journal of Adventist Education and is published in the inaugural issue of the Journal of Biblical Foundations of Faith and Learning. Mrs. Plemons has been an invited speaker to numerous conventions and conferences, including the principals conference in the South Pacific Division and at the first teachers convention for Adventist teachers in Moscow, Russia. Currently, she is the Associate Director of the Center for Teaching Excellence and Biblical Foundations of Faith and Learning at Southern Adventist University and serves on the board of the Southern Regional Faculty and Instructional Development Consortium. Neil Howe and William Strauss, authors of the best-seller Millennials Rising: The Next Generation (New York: Vintage Books, 2000), provided the first comprehensive look at this specific generation and defined millennials as those born between 1982 and 2004. This group includes the wide range of students (traditional and non-traditional) enrolled in higher education in face-to-face and online classrooms globally. Paula Gleason, “Meeting the Needs of Millennial Students,” In Touch Newsletter 16:1 (Winter 2008) Student Services, California State University, Long Beach: http://web.csulb.edu/divisions/students2/intouch/archives/2007-08/vol16_no1/01.htm. Unless otherwise indicated, all Websites in the endnotes were accessed in July 2016. Rick Ostrander Interview with David Kinnaman and Gabe Lyons, “Developing Good Faith,” Advance (Washington, D.C.: Counsel for Christian Colleges and Universities, Spring 2016): 54, 55: https://issuu.com/cccu/docs/16_springadvance_web/55. Open Culture, “MOOCs From Great Universities (Many With Certificates)” (2016): http://www.openculture.com/­free_­certificate_­courses. Joshua 24:15, King James Version. Nancy Pearcey, Total Truth: Liberating Christianity From Its Cultural Captivity (Wheaton, Ill.: Crossway Books, 2005), 44. Stephen Covey, Seven Habits of Highly Effective People (New York: Simon & Schuster, 1989), 95-144. Name and course materials used with permission. Jay McTighe and Grant Wiggins, Understanding by Design Guide to Creating High-quality Units (Alexandria, Va.: Association for Supervision and Curriculum Development, 2011). Loren Anderson, A Taxonomy for Learning, Teaching, and Assessing: A Revision of Bloom’s Taxonomy of Educational Objectives, Complete Edition (New York: Worth Publishers, 2010). Charles Bonwell and James Eison, “Active Learning: Creating Excitement in the Classroom,” in ASHE-ERIC Higher Education Report No. 1 (Washington, D.C.: George Washington University, 1991), 19. Jeff Nevid, “Teaching the Millennials,” Observer 24:5 (May/June 2011), Association for Psychological Sciences: http://www.psychological science.org/index.php/publications/observer/2011/may-june-11/teaching-the-millennials.html. Accessed July 26, 2016. See “Minute Paper,” in Office of Graduate Studies, University of Nebraska for a description of how to use: http://www.unl.edu/gradstudies/current/teaching/minute. The Minute Paper is a classroom assessment technique made popular by Thomas A. Angelo and K. Patricia Cross in their well-known resource Classroom Assessment Techniques: A Handbook for College Teachers, 2nd ed. (San Francisco: Josey-Bass, 1993). See Think-Pair-Share: http://archive.wceruw.org/cl1/cl/doingcl/thinkps.htm and http://serc.carleton.edu/introgeo/interactive/tpshare.html for more about this cooperative learning strategy. “What Is Active Learning?” in University of Minnesota, Center for Teaching and Learning: http://www1.umn.edu/ohr/teach-learn/­tutor­ials/­active/­what/index.html. “Interactive Techniques” In Teaching and Learning Resources, University of Central Florida, Karen L. Smith Faculty Center for Teaching & Learning: http://www.fctl.ucf.edu/TeachingAndLearnngResources/CourseDesign/Assessment/content/101_Tips.pdf. James Zull, From Brain to Mind (Sterling, Va.: Stylus Publishing, 2011). John McCarthy, “Timely Feedback: Now or Never,” Edutopia (January 2016): http://www.edutopia.org/­blog/­timely-feedback-now-or-never-john-mccarthy; Grant Wiggins, “Seven Keys to Effective Feedback,” Educational Leadership 70:1 (September 2012):10-16: http://www.­ascd.org/publications/educational-leadership/sept12/­vol70/­­num01/Seven-Keys-to-Effective-Feedback.aspx. James Nichols and Karen Nichols, A Road Map for Improvement of Student Learning and Support Services Through Assessment (Flemington, N.J.: Agathon Press, 2005). “Minute Paper,” in Office of Graduate Studies, University of Nebraska. 22. Deuteronomy 13:3. New International Version (NIV). Holy Bible, New International Version®, NIV ® Copyright © 1973, 1978, 1984, 2011 by Biblica, Inc.® Used by permission. All rights reserved worldwide. Students enrolled in Adventist colleges and universities worldwide represent a global community. Several studies have sought to discover whether Millennials from different parts of the world share the same needs and concerns. The 2015 IRIS Millennials Survey (translated into more than 10 different languages) interviewed 23,000 students from 23 different countries: http://irismillennials.com/articles/2015-survey/; Universum Global conducted the first large-scale study of Millennials’ attitudes, actions, and how these varied worldwide. They surveyed 16,637 people in 43 countries across Asia, Africa, Europe, Latin America, the Middle East, and North America. Respondents were between the ages of 18 and 30 years old. The data are shared in a six-part report, “Understanding a Misunderstood Generation”: http://universumglobal.com/millennials/.